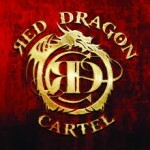 Share the post "Album review – RED DRAGON CARTEL – Red Dragon Cartel"
One of the most instantly recognisable riffs in rock is the opening bars of ‘Bark At The Moon’ from Ozzy but the magic fingers on the fret board belonged to one Jake E Lee. Since leaving Ozzy’s side Jake has found success in a couple of projects, most notably Badlands, and he has now re-emerged as the man behind Red Dragon Cartel. The riff to ‘Deceived’, which opens the album, is quite reminiscent of ‘Bark..’, as if to remind the listener of past glories. As the album continues the quality of the tracks does waiver a bit. The music is harder edged than Jake’s Badlands outing and is all the better for it, but some tracks leave you feeling short changed. There are moments of brilliance as well, the first being ‘Feeder’ which features Robin Zander of Cheap Trick on vocals. This song has a trippy, Cheap Trick feel to it which unsurprisingly suits Zander’s voice. This track is also the first to be released for radio play which is a shrewd move. Another track of note is ‘Wasted’ which again features guest vocals, this time supplied by Paul Di’anno. Again the rough nature of the track suits Paul’s gruff delivery well. Main vocal duties for the album are supplied by D.J Smith who is more than capable of carrying things off himself alongside Lee’s excellent fretwork. There are tracks though which for me just don’t fully gel, ‘Slave’ and ‘Redeem Me’ are cases in point. They are not bad songs but they don’t quite hit the mark. Another that bemused me was the closing track, ‘Exquisite Tenderness’, which is a quiet solo piano piece which is pleasant but not the big bang finish I think the album needed. This entry was posted in ALBUM REVIEWS, ALBUM REVIEWS (Mobile), All Posts and tagged album, Badlands, CD, Jake E Lee, Ozzy Osbourne, Paul Di'Anno, Red Dragon Cartel, review, Robin Zander. Bookmark the permalink.